William loves football (soccer). The boy is borderline obsessed. He watches it. 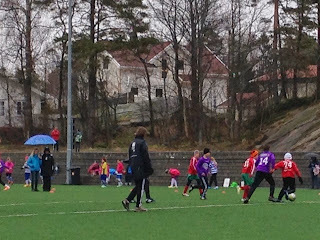 He plays, with a local club and every day at school. He reads about it. He talks about it. I imagine he dreams about it. And while he can make your head spin as he quotes statistics and records, it is a joy to watch him play.He has one or two games a week with his club. 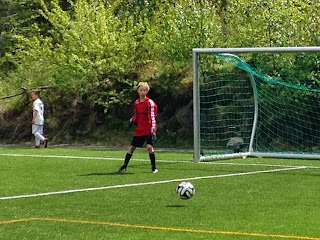 Last week he scored his first regular season goal (he had only scored in a weekend tournament before that). Then on Saturday, he joined six of his classmates and played in the local Skolecup tournament. He scored two goals, including one on a header. 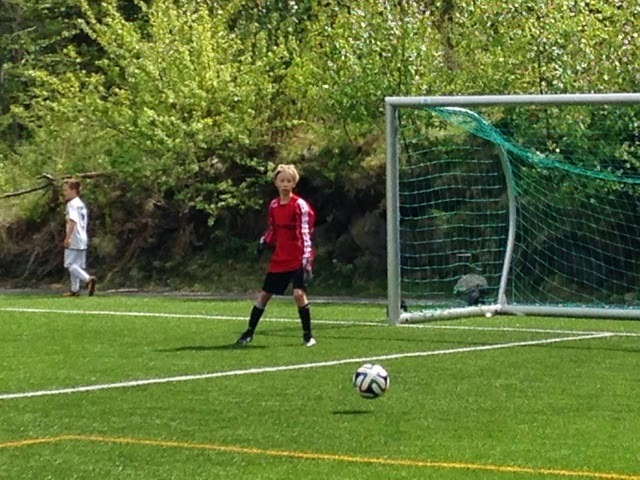 He also played keeper in one game. He did well in that position, too, though it totally stressed me out! It’s amazing to think back to his first season, when he was that tiny 5 year old that had only been with us in America for about two months. Speaking no English and understanding very little, he surprised us with his ability to follow and play appropriately so quickly. Six years later, he is still playing the game he loves, while learning yet another language. My prayer is that he will always pursue his dreams with passion, that he will live for Jesus with passion, and that he will find the passion and desire to learn this newest language.